Hey Wendy! Thanks for the fantastic work you’ve done providing us a new family home for the next forty years. Much appreciated. Our experience as agents dealing with Chamberlain Property Advocates was very pleasing. 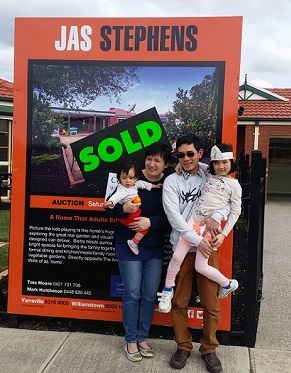 We felt that given the status of the market across Melbourne has become somewhat challenging, we all worked strongly together to make sure that the property sold on the day of the auction and that the vendors were happy was the result! On the recommendation of someone, we entrusted Wendy Chamberlain to be our vendors advocate. All in all, we were very comfortable dealing with Wendy and would definitely recommend her services. 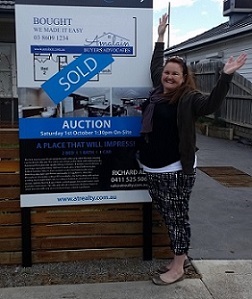 Thanks so much Wendy for helping us to find our perfect investment property! 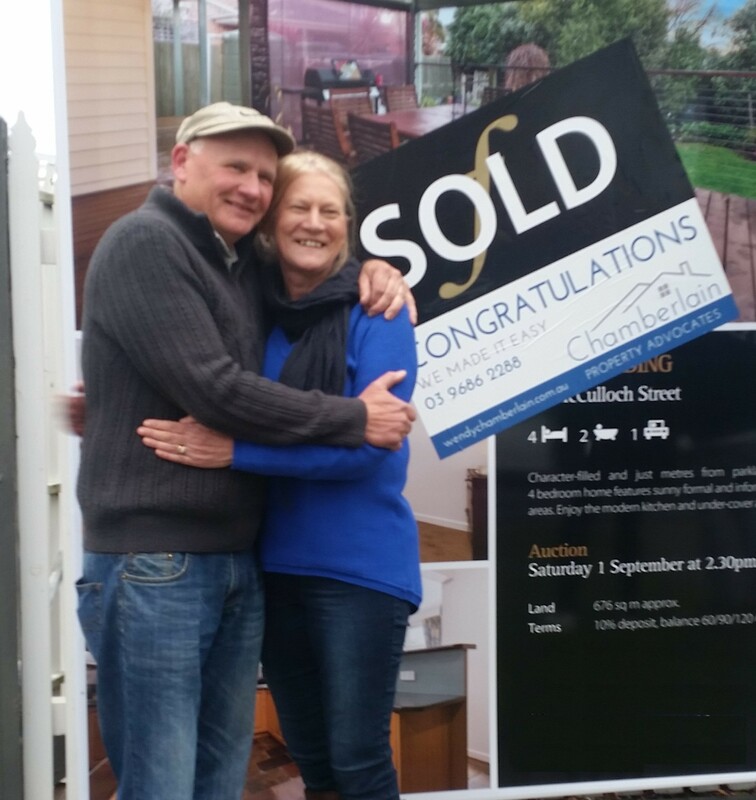 We both whole heartedly recommend Wendy Chamberlain as your Buyer’s Agent to help you buy an investment property in Melbourne. 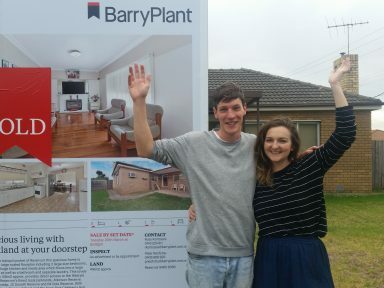 We recently worked with Wendy to find and purchase our first home. Wendy was with us throughout the entire process, and answered all the questions we had, no matter how big or small. 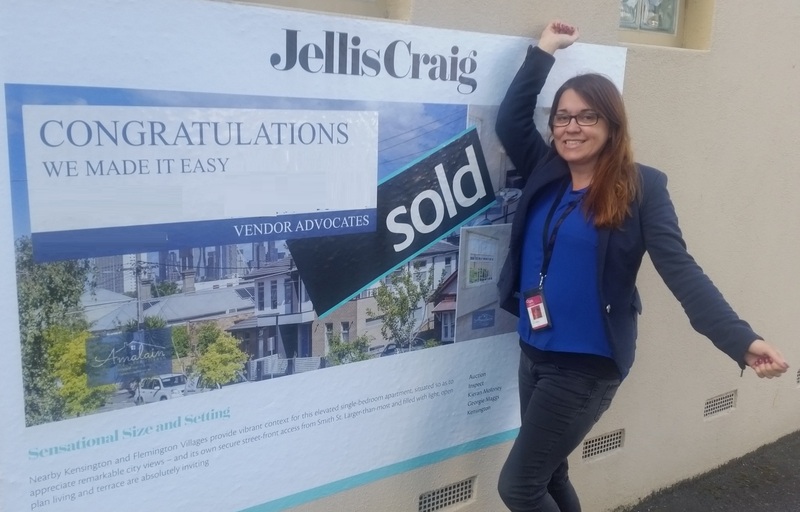 Wendy provided us with invaluable assistance in our property search, and her knowledge of the Melbourne property market and different locations is a huge advantage when searching in a competitive market as a first home buyer. Wendy was able to give us insights into which areas and types of properties would be ideal for our circumstance, and gave us energy when we felt exhausted by the process. 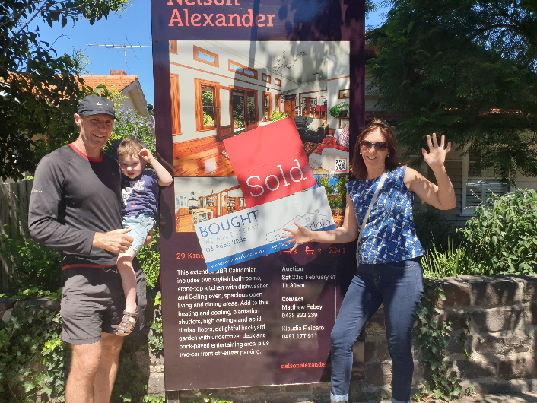 In the end, Wendy was able to locate an off-market property which we were able to purchase at a very competitive price, without having to worry about competition from other buyers or the associated stresses of going to auction. Wendy also provided us with excellent contacts that we required in the process of buying a home, which is invaluable in a field of so many providers. 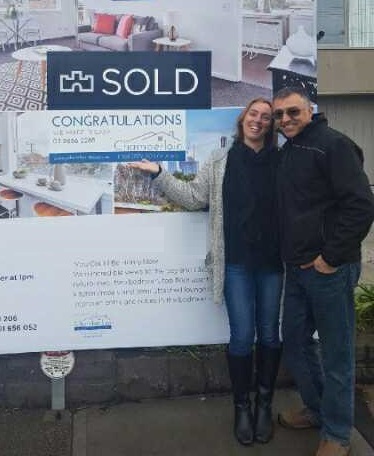 My Husband and I where first home buyers and we had been looking in the market for over 5 years, slowly loosing hope, when we contacted Wendy. Under her guidance, it took under 3 weeks (the people whom had referred her to us, it took them 12 days!!!) to get us into a house that we wanted, it was perfect and we loved, and the best thing about it my husband and I stopped arguing. 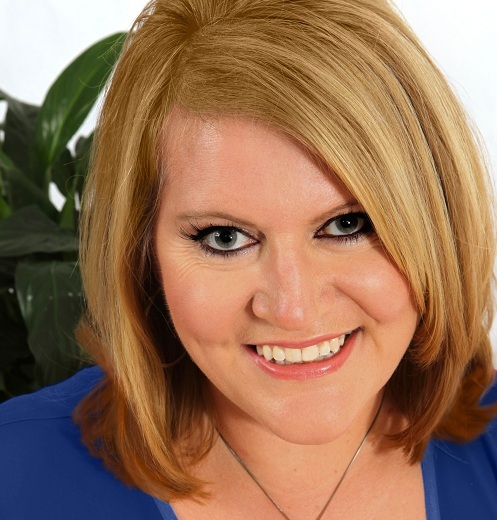 All I can say is, that Wendy is the realestate whisperer, she gets it done she knows the language that you need to speak, what you need to do and who you need to know. She has the passion and she absolutely delivers no confusion, if you want an honest answer you will get it. This lady is amazing, my husband and I are not even sure she sleeps. If you are even thinking about taking the leap use Wendy, the ride is worth it, I promise she will guide you through the entire process. In short we now can say that we have stopped renting and are now putting our hard work into our own dream and not someone else’s. I never thought it would happen. Thank you Wendy your amazing you changed our lives. I really enjoyed working with Wendy. She’s been so helpful. She always returned calls and communicated and we had a great result today. I was really pleased so, thanks tons. Thank you. Well, we are very, very happy. Thank you Wendy and Jo for referring us to you. You did a fantastic job. We’re so happy. Thanks to Wendy for all her hard work in keeping us going and keeping us in touch with everything that’s going on and everything they did for us. Fantastic result! Highly recommend it. We’ve put the feelers out, we’ve put the words out so definitely recommending them. Thanks guys, definitely appreciate it. We couldn’t have done it without you! So I met Wendy in 2016. October 2016 and we started on this journey trying to find my very first property. So thank you Wendy for helping me find my very first property. When we were first looking, we thought we would never be able to get a property that met our criteria. 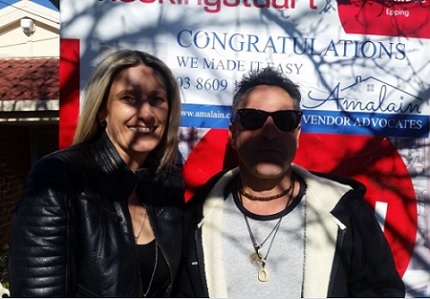 But then we spoke with Wendy and she found this property and we purchased it within 12 days. 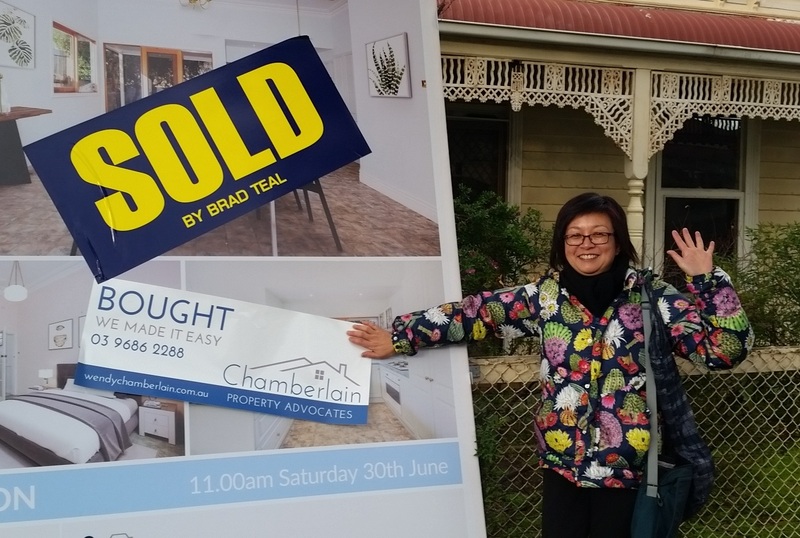 John & I have previously worked with Wendy as a buyers advocate. 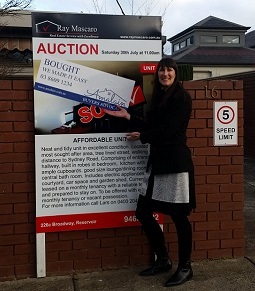 The auction campaign for 13/26 Barnett Street, Kensington was the first time we’d worked with Wendy as a vendors advocate. During the 4-week campaign Wendy demonstrated that she is ethical, professional, a strong communicator and very good at what she does. 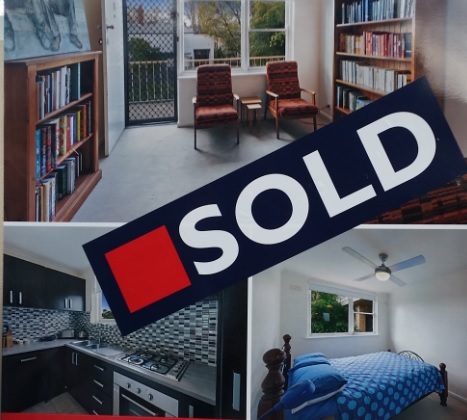 The end result speaks for itself (3 bidders on auction day – selling well above reserve price) and I know the vendor is very pleased they appointed Wendy. Anybody looking for a buyer or vendor advocate should contact her today. I have to admit I had never heard of a vendors advocate when my broker recommended Wendy and her team but I’m so glad I contacted her. Wendy did all the hard work for me, she interviewed the agents and had the tough chats that I knew I wasn’t capable of. 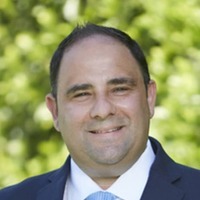 In the end we chose an amazing agent together, I was given all the facts about each agent and the associated fees and was able to make an informed decision. Wendy offers a great service but its more than that, they’re awesome people to deal with and so genuine. I would have no hesitation recommending them to my friends or using them again. We didn’t really know what to expect having a Buyers Advocate assist us with purchasing our first home. I don’t give praise lightly but credit where it is always due. Thanks Wendy for all the advice and support. It’s been a great experience working with you. The thing impressed us most and still lasts until now is your ethical and professional conduct. Because of it, we trusted your independence throughout the whole sale campaign. Communication is your second best quality. We were truly happy with speedy updates and honest recommendations. We’ve got an outstanding result which has set a new benchmark in our street. In a cloudy industry like real estate, you stand out as a navigator upon which home owners like us could rely. I truly believe if you continue to uphold the code of conduct, a flourishing success is certain. We wish you two all the best in the future and please keep on the good work. My wife and I employed the services from Wendy and couldn’t be happier with the service, patience and outcome we received. Thanks a million, Wendy. You are awesome. 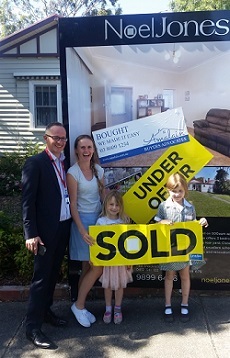 We’re first home buyers and were feeling quite intimidated and nervous about entering into the property market but Wendy has been a fantastic support and I would thoroughly recommend her services. We decided to use a buyers advocate because we are time poor. Wendy has been awesome. 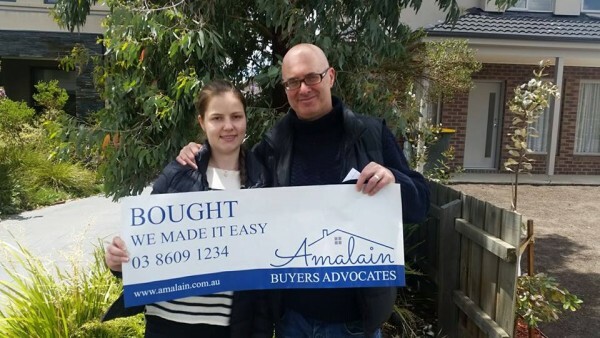 Once we briefed her she found and purchased a property for us within 12 days. There is no way we would have found and purchased a property that quickly ourselves. We also managed to get an offer in and stop the auction. A few weeks down the track and we can already see that we have saved around $30K by having Wendy negotiate for us. Wendy was professional, efficient, listened to our needs and provided an awesome service. I highly recommend Wendy and her team. Thanks so much Wendy. I decided at the beginning of my journey to partner with an expert like Wendy. Wendy understood that it wasn’t about the next house to buy but about the one that felt like my home! I just purchased a property at Dickinson Street with the help of Wendy. Fantastic process, really short with all things considered and at a fantastic price. The thing I most enjoyed about working with the complete team is that it’s not about the house or property, it’s about what fits for you. Thank you guys. Much appreciated. I would recommend using you to anyone! We are happy new home buyers and homeowners. 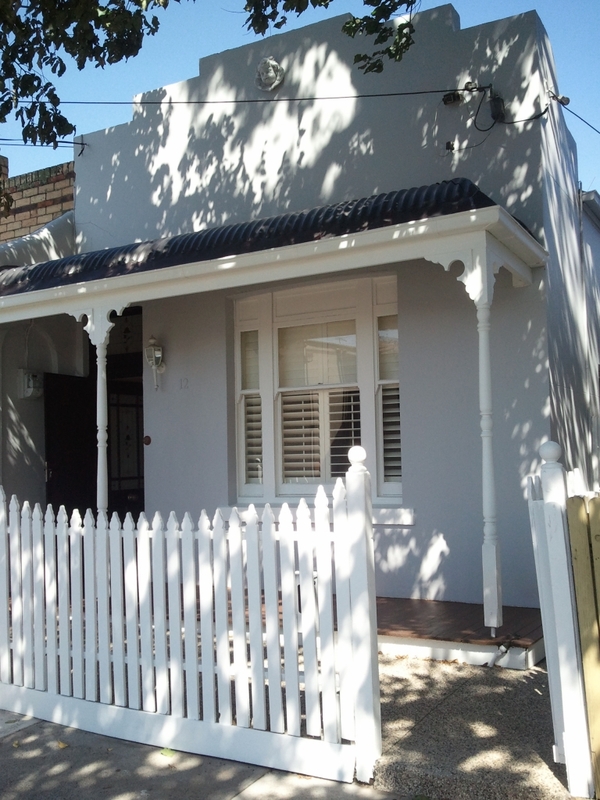 We bought this beautiful property in Oak Park and we would like to say thank you, a huge thank you to Wendy. She helped us from the get go, she’s been right with us the all way, rocking this all the way, she helped us with some massive decisions that we’ve had found it to hard to make or it’s too difficult for us to make and that is why where Wendy stepped in and taken that brunt of the load for us, part of the process for us, she bidded for us. 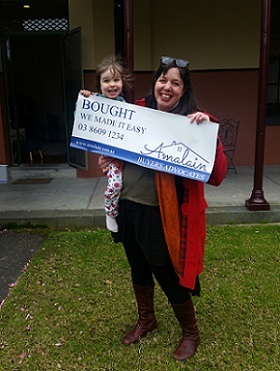 She did a wonderful job and the end result is that we’re really, really happy and we’ve got a wonderful property. So thank you Wendy , you were awesome. Initially, I spent months on housing hunting and got blamed from my partner for “Nothing has been achieved”. After I got in touch with Wendy, she found a house for us through private sale within 7 days in a very nice location we thought we couldn’t afford. The whole process from house hunting to settlement is so easy as they promised. I should’ve done this earlier. The fees Wendy and her team charge are much lower than the money they can save for you. Not only that, broker, solicitor, building inspector…. the whole package is ready. Also, our new neighbor even said we bought the house at a very low price. Thanks to Wendy. I strongly recommend the services Wendy provides. “WE MAKE IT EASY” should be “WE MAKE IT D*** EASY” though. 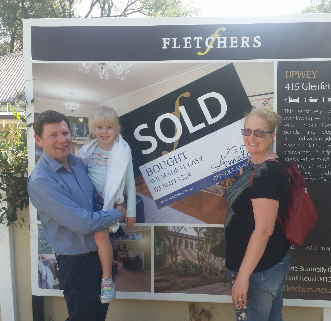 I am a mortgage broker and have referred clients to Wendy and she has achieved terrific outcomes for my clients! 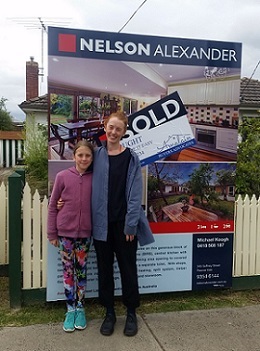 They just sold over the weekend and got an incredible result! Great work! We are so happy we made the decision to use Wendy to help us find a home. 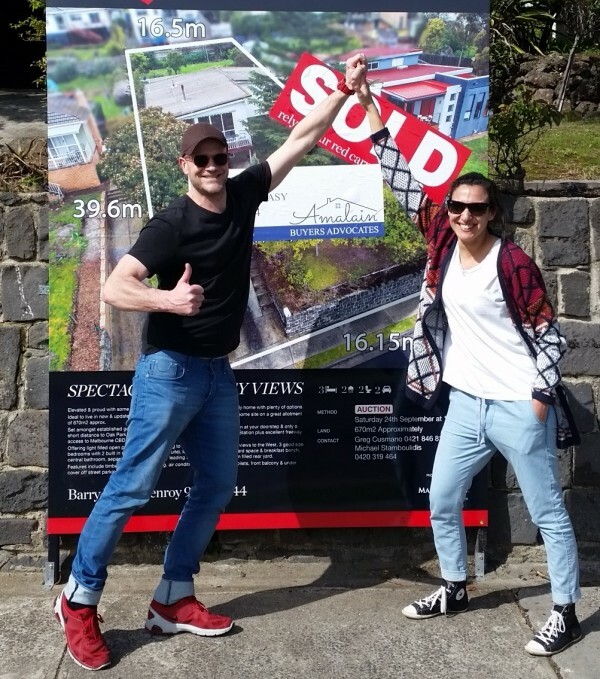 After looking for years, and feeling frustrated and overwhelmed by the prospect of buying a property – with Wendy we had purchased a house within 9 days! 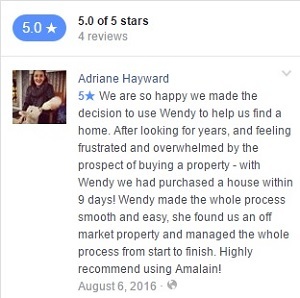 Wendy made the whole process smooth and easy, she found us an off market property and managed the whole process from start to finish. The best decision I made when looking at purchasing a property was having Wendy on my side. She is friendly, a great communicator, professional and made the whole experience less daunting. 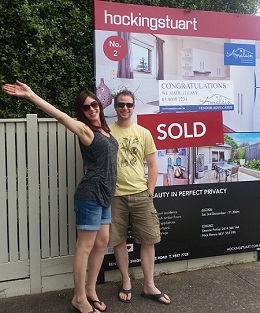 As a first home buyer I was overwhelmed at the whole buying process and Wendy put my mind at ease. 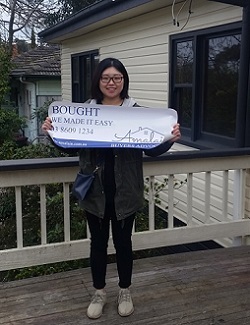 With her experience and expertise, Wendy made the whole process less daunting and got me a great result with my first property purchase, I couldn’t have done it without her. 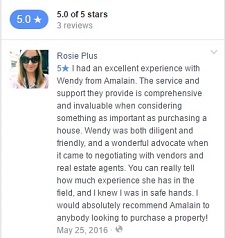 If you are unsure or need help purchasing a property, I highly recommend Wendy. I had an excellent experience with Wendy. The service and support she provides is comprehensive and invaluable when considering something as important as purchasing a house. Wendy was both diligent and friendly, and a wonderful advocate when it came to negotiating with vendors and real estate agents. You can really tell how much experience she has in the field, and I knew I was in safe hands. I would absolutely recommend Wendy to anybody looking to purchase a property! As first-time buyers who are based overseas, we had many questions and Wendy helped us through each step of the process. She provided invaluable assistance as our advocate, providing insights into location and the market as well as linking us with contacts to smooth our path. 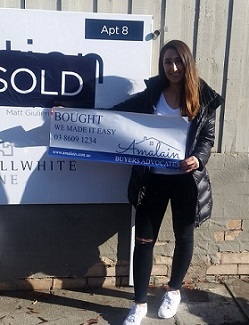 She was then able to help us secure a property off-the-market at a competitive price, saving us the trials of further auctions and money. After seeking to buy my first home for several months, I was recommended to utilise Wendy services. 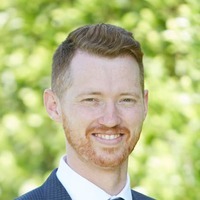 Upon initial contact, it became quickly apparent that Wendy’s knowledge base and high level of professionalism would be of great assistance to me. 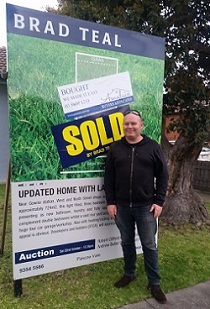 Within 2 weeks Wendy had helped me find and buy my perfect first home, for 10’s of thousands of dollars cheaper than similar auctioned properties in the area. Wendy’s service was fantastic, fast acting, and far more affordable than other buyer’s advocates in the market. I’d highly recommend Wendy’s services to anyone looking to break into this difficult market here in Melbourne, her services are invaluable. 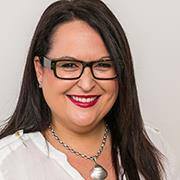 Wendy Is Your Melbourne Property Finder, Seller & Negotiator! Melbourne Is Our Home Town. Let Wendy’s Local Knowledge Be Your Secret Weapon.